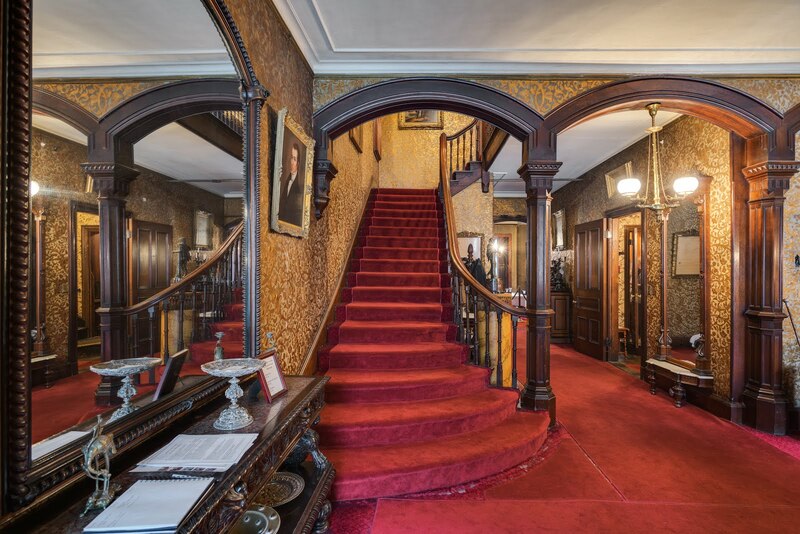 The 1800s and 1900s were marked by vast technological innovations, including those that transformed food processing. Such advancements made it affordable for families to own devices that made cooking easier. The Gibson House kitchen displays a wide assortment of antique appliances that illustrate the way food was processed a century ago. 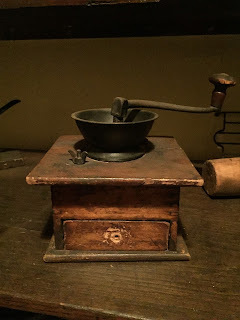 One of these items, a coffee grinder (pictured above), would have been present in most middle- and upper-class nineteenth-century kitchens because of the beverage’s popularity. 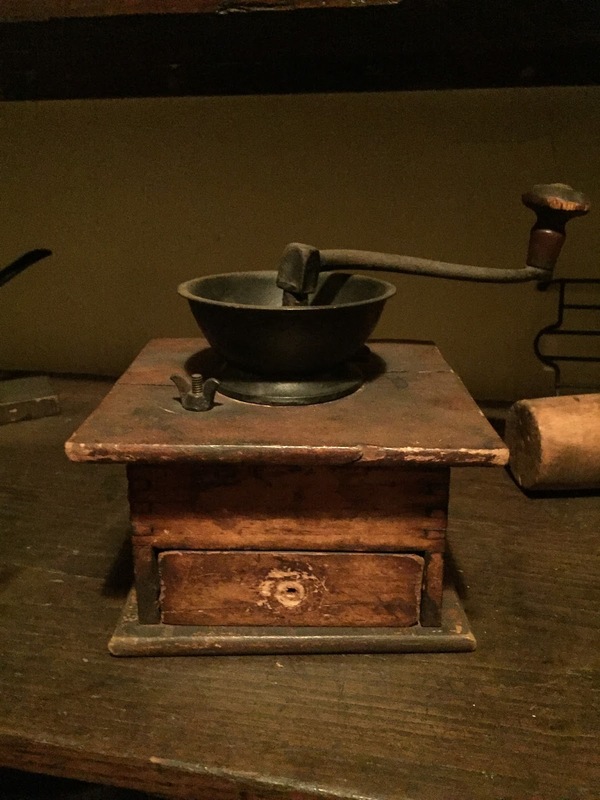 The small wooden box, with a metal crank on top and a drawer on the bottom, has two rows of teeth that hold down the beans until ground. Although labor intensive, the device offered coffee in the comfort of one’s home. The cultivation of coffee beans originated in the fifteenth century on the Arabian Peninsula, following its discovery in the ancient coffee forests of an Ethiopian plateau. By the seventeenth century, coffee was common in Europe. The new hot beverage initially received negative reactions, being described as a “bitter invention of Satan.”* However, as people developed a taste for coffee it came to replace more common breakfast drinks, such as tea, and was frequently served at social events. As a result of its popularity overseas, coffee arrived in the American colonies in the mid-1600s. However, it didn’t become a preferred beverage until the time of the Boston Tea party in 1773, when drinking tea became considered unpatriotic. 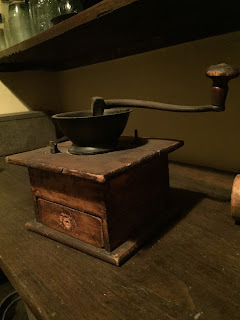 The coffee grinder is one of the many utensils in the Gibson House kitchen that allow visitors to experience first-hand the way families lived in the nineteenth and early twentieth centuries. *“History of Coffee.” National Coffee Association USA. National Coffee Association, Inc, n.d. Web. 25 Feb. 2016. <http://www.ncausa.org/About-Coffee/History-of-Coffee>.